On Monday, September 24, 2018, ACBAR celebrated its 30th anniversary followed by #StoryOfAfghanistan Photo Exhibition and Contest. The contest took place between different NGOs whose photos were put forth for juries to decide on best photo award of the year. We are delighted to announce that a photo captured by Balqis Ehsan has secured the first prize award which portrayed the true services of Zardozi among other organizations. The selected photo too illustrates the hard work of a working mother at a tailoring workshop. Balqis Ehsan joined Zardozi as Communications and Outreach Officer in 2017. Ever since, we have observed an enormous growth in her capabilities as a determined employee. We are continually impressed by her results at work and wish her best of luck. Zardozi take as much pride in the achievements of its female staff as much as it does in its male staff members. Zardozi presented eight of its best clients and their products in Passage to Prosperity: India-Afghanistan Trade and Investment Show in Mumbai, held on September 12-15, 2018. Supported by US, Passage to Prosperity was initiated as a platform to boost economic ties between Afghanistan and India by connecting Indian investors and contractors with Afghan sellers and producers who displayed various kinds of products at the exhibition. The event has been a great opportunity for both promoting Afghan products as they were shown noteworthy of greater value, and strengthening bilateral relations between the two countries who have historically enjoyed cooperation on different levels. Programs such as Passage to Prosperity are initial steps of economic prosperity for both countries since it will also expose Afghan products to international buyers. “We were able to relatively attract many investors to our unique choice of designs, color combinations and great quality of hand embroidery. Some of our materials were sold at the expected price. Most importantly, women were acknowledged for their extraordinary skills and abilities,” exclaimed one of Zardozi clients. Zardozi thanks FHI Goldozi for sponsoring the trip and cooperating with Zardozi for retaining contracts and orders from the contractors and investors at the event. We are also pleased to have found the opportunity to negotiate and sign business deals and establish new relationships with other Afghan companies for mutual work in Afghanistan. Zardozi’s successful client in Kabul is a talented and multi-skilled 22-years-old Nargis who is the only girl child at her home. Unlike the old parents, Nargis’s parents have always felt fortunate to have a daughter. Therefore, they have raised Nargis with much love and allowed her to complete her education and pursue a career of her interest. Inspired by her mother who is Zardozi’s Kadar, Nargis became interested in joining Zardozi to learn tailoring. She came to Zardozi in 2015. Thereafter, Nargis excelled in her tailoring and business skills and supported her mother with maintaining the financial situation of the family. “My goal was not limited to tailoring only. Difficult economic circumstances led me to explore more skills so besides tailoring I also started a cooking course from my trainer at Zardozi. I also relied on some trainings outside Zardozi.” Being a fast learner, Nargis finished her 5-months cooking training and was soon able to cook Italian and Afghani food in an office affiliated to Italians. Interestingly, Nargis has currently started a new business. Suggested by her friends, she learned photography and filming from a photo production company called “Pazhang” while also seeking help from Zardozi’s expert staff. Observing her enthusiasm, Nargis got hired by the same company as wedding photographer. “I earn 2,000 Afs for every wedding party that I photograph. I learn new things every day and make good connections and close ties with different families. I am planning to have my personal production company. While it is an interesting profession, it is not perceived respectable by many people,” says Nargis as disappointment covered her eyes. But she ambitiously added that she wanted to change this trend and make it a female-dominated field, because according to her, women are more useful in this field since the bride opens up to a female photographer easily and not all Afghan families are comfortable with a male photographer to capture their private moments or to go inside a bride’s green room. For years Zardozi- Markets for Afghan Artisans negate people’s general concept about women’s inabilities and demystify women’s potential in important fields such as business and leadership. In looking into the future, Zardozi wants to create a place that is run by women for women, because opportunities for women often come from other women as they can better understand and address the challenges of the women they work for. Working in an Afghan society, Zardozi has identified a dire need for hiring female regional managers for its offices in other provinces recently. In order to smoothly escalate our goals and services to a larger number of women, we have successfully hired Nasrin Sahibzada and Aziza Karimi as our first regional office managers in Jalalabad and Heart offices. 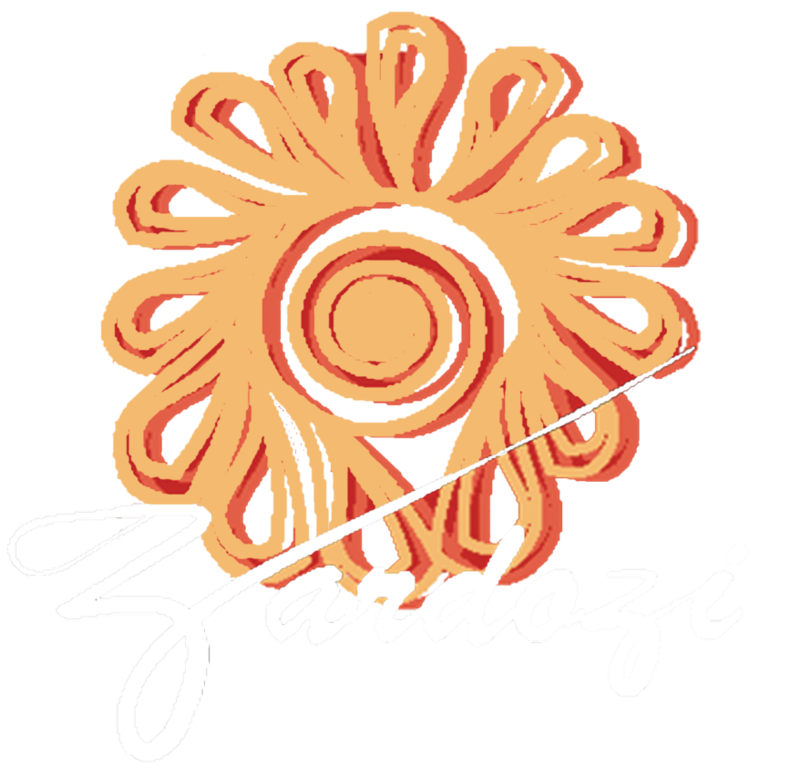 We are pleased to announce that Zardozi- Markets for Afghan Artisans welcomes its first female regional manager in Zardozi’s leadership. Ms. Aziza Karimi who has recently been hired as the regional manager in Herat province comes with great qualifications, experience and new ideas for the promotion and development of less privileged afghan women. On Wednesday, August 29, 2018, Zardozi’s Executive Director, Ms. Homa Usmany introduced Ms. Aziza Karimi to her new office in an event where Justice Chief, Ghulam Mahommad Rahmani; Deputy Head of Department of Economy, Mr. Hossieni; Head of the Craft and Trade Union, Mr. Abdul Wadood Faizzada; Chief of the Chamber of Commerce and Industry of Women, Maryam Jami; and Head of the Women’s Worker’s Union and representative of the Human Rights Commission, Ms. Malaka Resoly were also invited. At the beginning of the event, Ms. Usmany spoke about Zardozi’s activities and enlightened the guests about how the organization finds and expands markets for Afghan women where their businesses can grow and flourish while also providing them with business training. During the speeches, Mr. Ghulam Mahommad Rahmani also spoke on the significance and need of female managers and appreciated Ms. Karimi for her courage and commitment to women empowerment and their economic growth. He said that women are the pillars of the society; therefore they have to take vital positions in various sections. Ms. Karimi thanked Zardozi and called on government to support the organization’s objective to save women from domestic violence and financial breakdown. Zardozi looks forward to working with Aziza Karimi and wishes her success in all of her endeavors. Bibi Shakila is one of the Afghan mothers who lost her 22 years old son to the war. After her son’s death, Bibi Shakila’s oldest son decided to join the Afghan army forces and fight the enemies who took away people like his brother. Dreaded by the death of her second son, Bibi Shakila could not afford to lose another son and begged him to not to go to army. Instead, she worked hard to learn embroidery and tailoring by joining Zardozi. The evolution of ‘celebrating successful women’ started in 2013 when Zardozi’s former director Kerry Jane Wilson realized the need to assess and appreciate the success which women have sought throughout their entrepreneurial journey. Successful women celebration is a way for Zardozi to boost confidence in women, create role models for others while also seek the attention and support of their fathers, husbands and brothers. We talked to the program director and staff of Zardozi who are committed to organizing more events. They told us about the problems they face each time they plan a program, because Zardozi aims to invite the male members who are most often a barrier to the success of their sisters and mothers to run a business. “Sometimes we are not able to convince most of the family members to attend these ceremonies which also discourages the woman who are getting recognized. It is difficult but we are also not stepping back,” said Nadia Tabish. Ms. Frozan comes from a small district of Mazara Sharif, Hajat Rawa. She has three children, and the eldest of all is 12 years old. Like many beneficiaries, Frozan took the opportunity and extracted the utmost advantage from Zardozi’s programs to earn as much she could in order to provide her children a standard education and a healthy lifestyle. Frozan’s friendly behavior and human connections enabled her to attract many customers and build connections with sellers and contractors. Within one month, Frozan became the leader of her team at Manbeh and taught other women tailoring skills in the absence of Zardozi’s trainers. “Frozan became a good friend in less than an hour when I first saw her. Her tailoring skills are impressive,” said Habiba—a close friend of frozen at the Manbeh. Within 3 years, Frozan also started her personal tailoring workshop and bought necessary machinery by taking a loan from Zardozi. She hired six other women at the workshop who help her manage big contracts and complete public orders on time. “My first big contract was making 300 pairs of party dresses. The income derived was 300,000 AFS. I had never dreamt of earning this amount of money,” exclaimed Frozan. Ms. Frozan’s husband, a shopkeeper, says that he is very proud of his wife and encourages her to further expand her business. Frozan proudly mentioned, “My husband supported me at times when people spoke ill of me while attending Manbeh. He trusted me and never stopped me even once.” Frozan’s children are now in one of Mazar-e-sharif’s best schools. Both she and her husband run the house smoothly without large financial difficulties. “Some examples of great leaders are Ashraf Ghani, Karzai, our fathers, and our husbands,” answered a group of women when the leadership trainer asked them about who they recognize as leaders. But none of the examples of great leaders were women. Even when women play central roles in their families and societies, they are still undermined—a result of the lack of awareness that people have about the positions and potentials of women. Most of the women in the room don’t recognize the fact that they, too, are leaders, and that they make an equal contribution to society as their male counterparts. Zardozi acknowledges this problem by sequencing its priorities, determining which programs can best fulfill the needs of women. We have set leadership trainings at the top of the agenda because these workshops help build women’s sense of importance to step out of their homes and make a difference. As the information circles around the room, more women speak up about what leadership is and who can be a leader. Samina, 18 and educated, says, “All mothers are leaders.” Frozan also jumps in to explain the traits of good leaders: “A leader should be open minded, educated, honest, be able to solve people’s problems, and be a person who has a vision for the betterment of the future.” The trainer, Ms. Farida, simultaneously asks different questions from the 10 women who are present in the room on Tuesday’s session. Since most of these women have not had access to basic education, Ms. Farida acquires different ways to help the trainees understand better. In her training materials bag, she brings leadership related pictures (mostly images of female leaders), a laptop to show various videos, and other materials that can be used in performing games or carrying out role-plays. Zardozi’s leadership program not only spreads general awareness, but aims to empower more women to engage in Nisfe-Jahan—to evolve into an organization that will be entirely run by women and for women. The program educates women to vote for and choose Nisfe-Jahan’s leaders who will then represent them and provide them with support. All of these efforts and work for the empowerment of women do come at a cost. Zardozi’s long term goal in attracting larger number of women is a challenging task. While some women attend Zardozi programs secretly, others face abuse on the street while going to the Community Business Centers (Manbeh). The number of women attending the trainings drops at certain times while Zardozi staff has to make settlements with community leaders and local Mullahs. These groups then collaborate with Zardozi by holding meetings with community members to encourage families to allow their wives and sisters to take advantage of the services.